Meet Piper. 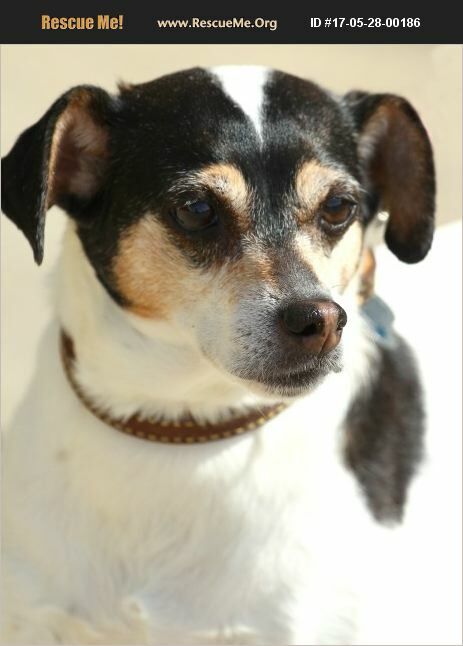 This adorable girl is an 11-year-old rat terrier/Jack Russell terrier mix. Piper is a sweetheart, but has not done well adjusting to children in the family. For this reason she is looking for a calm retirement home where she can sunbathe in the day and cuddle at night. We understand that there are challenges when looking for adopters for a senior dog, but we are confident that someone will love to have little Piper to hang out with to watch TV or to take on walks. Piper is still a spunky, spry girl who also still loves squeaky toys. She knows a few commands and is very well behaved in the home. When left alone Piper likes to watch DogTV to pass the time. Adding to Piper's challenges is her desire to be an only pet. She has lived several years with Noella (also up for adoption) but has never really spent much time with other dogs. When she does encounter other dogs she mostly ignores them. She is quite the cat and other small critter chaser, so we think a home without cats would be best. And as we mentioned above, Piper would prefer no small children. She is a little cat-like in terms of being pet. When she wants attention she'll let you know. She does sometimes go to the kids for affection, but she gets annoyed when they pet too long or too hard. Piper is spayed, up to date on vaccines, and microchipped. She is also solidly housebroken and does not need to be crated. If you would like to meet Piper please complete an adoption application on our website at www.pawswapofgreaterlafayette.com/adopting. Her adoption fee is $125.